The scenario quiz is the most complex quiz we offer and thus deserves a bit of explanation. In short, it lets you ask questions depending on the previous answers given by the player. For each question, you can specify the next step, either an ending or another question. 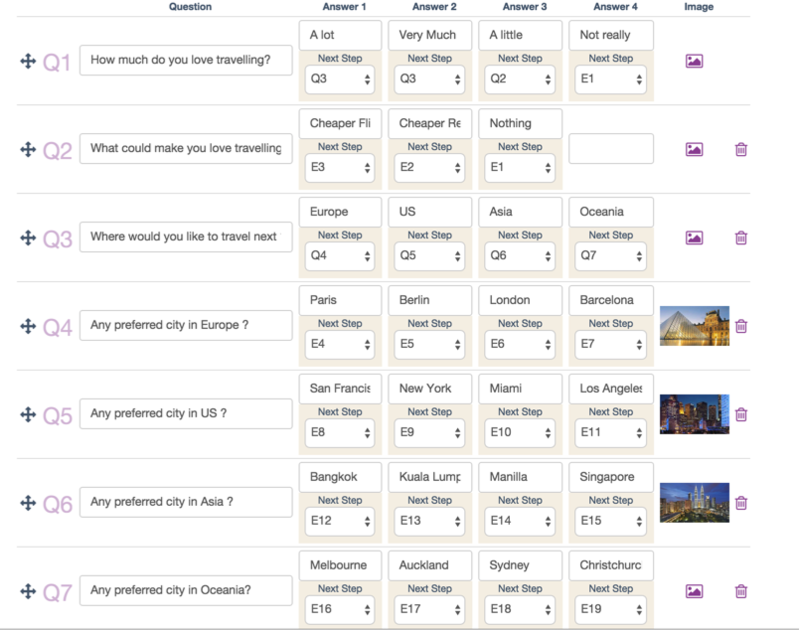 In the example of the quiz “Where do you want to go next?”, the first question to ask is “How much do you love traveling”. 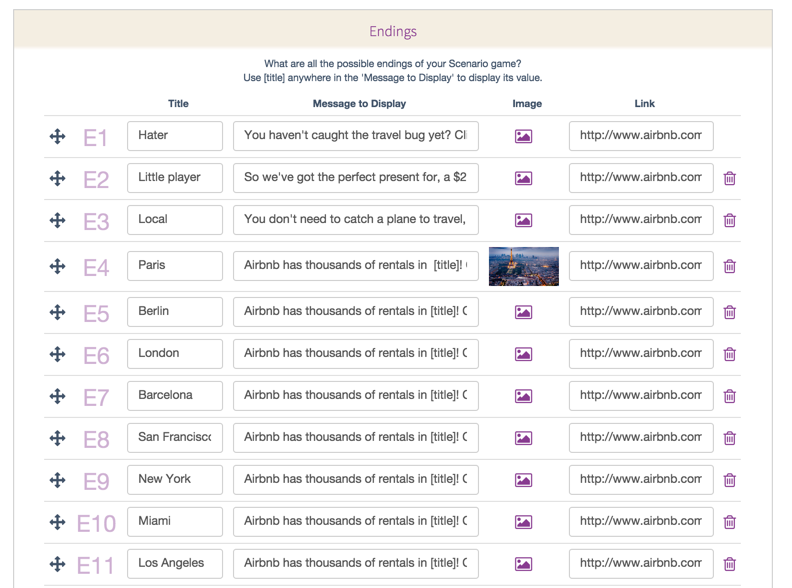 If the player is not interested in traveling, the quiz should stop. If the player loves traveling, then the scenario portion of the quiz starts. The next question to ask is the continent, then the city. So it is quite obvious that the question about the city will depend on the continent selected by the player.